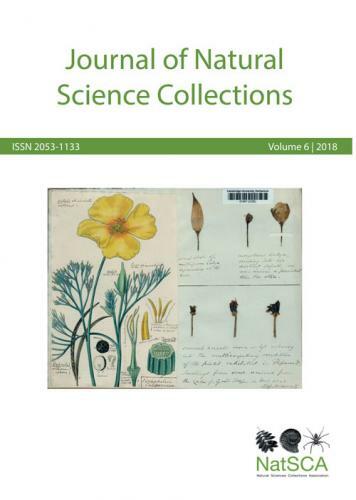 The Journal of Natural Science Collections Volume 6 is now available to NatSCA members! Print copies are on their way to our members and members can also access Volume 6 online here. Articles are accessible to NatSCA members only and can be unlocked by using the password provided by our membership secretary. All articles will be available exclusively to NatSCA members for the first year following their publication. Not a member yet? Visit our membership page for more benefits of membership and how to join now.